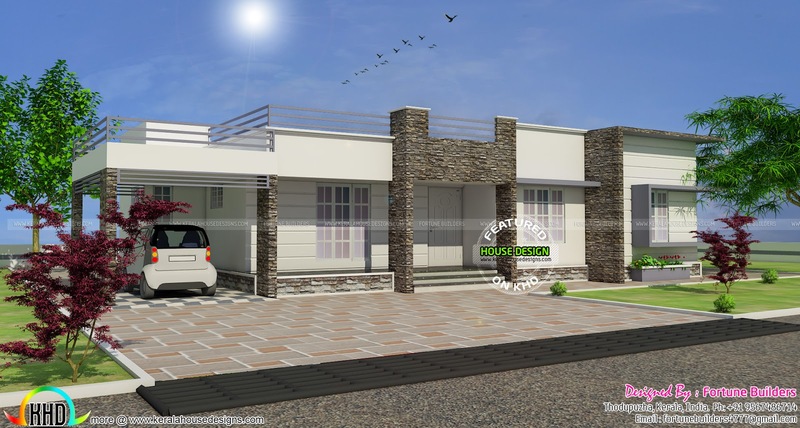 1400 square feet (130 square meter) (155 square yards) wide single floor home with estimated construction cost. Design provided by Fortune Builders from Idukki, Kerala. 0 comments on "₹ 20 lakhs house in 1400 sq-ft"